It is a gentle yet effective face cleanser that helps to clear theskin without over drying. It is enriched with carrot and neem seed oil beads that help to prevent breakouts. It washes away excess oil making the skin feel fresh, clean and radiant. 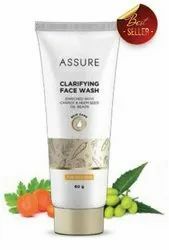 Assure Clarifying Face Wash is a gentle yet effective face cleanser that helps remove dirt, oil, impurities from skin . It comes with innovative carrot and neem seed oil beads that helps clear clogged pores leaving the skin renewed and refreshed. It washes away excess oil that attracts dirt and germs making the skin feel fresh, clean and rediant. Gentle enough for everyday use, this unique face wash helps clear up skin and prevents blemishes without over-drying or causing irritation. It also includes innovative moisturizing beads that release nourishing vitamins A, C, E and pro–vitamin B5 when massaged into the skin, leaving it not just clean, but also moisturized and soft. Clear glow face wash contains licorice extract which is very beneficial for the skin. Any kind of skin problems or diseases are cured. Regular usage has given many results; enhancing the skin, lightening and giving you a fresh look. 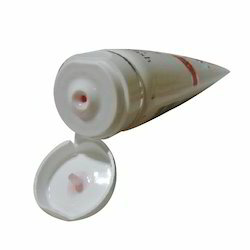 It effectively improves skin complexion and makes it look radiant and fresh with continuous use. Infused with a unique whitening complex made of white mulberry, skullcap, saxifraga and grape extracts that gives a natural glow to the skin and helps to lighten dark spots. Spreads easily and absorbs quickly to give even-toned and fairer skin and controls tan.